The Proposal is a hotel located in an art gallery in Zurich, in Switzerland. 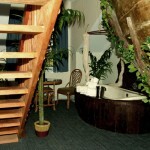 The hotel rooms are located on one of the gallery’s highest floors. Guests who stay at this hotel will be able to enjoy a stay at an experimental art gallery. 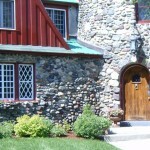 This bed and breakfast has two rooms located in the art gallery. During their stay guests will be able to visit the rest of the museum and its many art exhibitions. One of the rooms is a loft located next to one of the galleries. The room has views towards a large, blown up sculpture of a man that weighs more than half a ton. 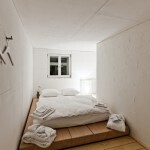 The room has light wooden floors and is decorated in white, and has a large white double bed. 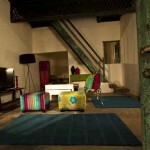 The second rooms is located in one of the museum’s patios, inside an ancient Peugeot J7 hippie chromed bus. 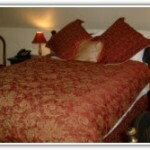 The bus was remodelled and is now a large double room with a queensize bed. 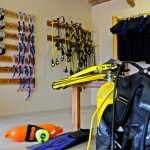 Price is around 128€ per room per night. 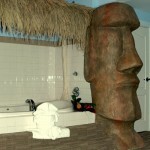 The hotel’s bathroom, which has a large shower, is located inside the art gallery. The rooms provide bathrobes for each guest. 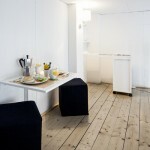 The price per night includes a state of the art breakfast called the Untitled Breakfast and two cocktails in the gallery. Guests will be able to rent bicycles at the hotel and explore the city. Guests will be able to celebrate events in the hotel’s large patio. Cocktails are organized for visitors and the gallery offers talks about the art pieces that can be seen in the main exhibition hall. 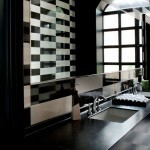 The hotel is located in the Wiedikon neighbourhood in Zurich, one of the city0s most artistic districts. The gallery is filled with many types of art and there are several exhibitions. There are several permanent and temporary exhibitions. Part of the gallery has art and sculptures dedicated to Henry David Thoreau. There is another exhibit the presents clothes as a second skin. Another exhibit is a tree that grows horizontally. Guests will be able to see how an art gallery is after the visitors are gone. The gallery is visited by many of the artists who have their exhibits on show, and guests will be able to talk about the pieces of art located in the gallery. 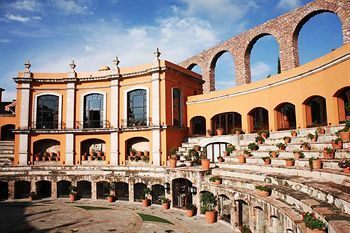 The hotel is located inside the museum and has views towards the large patio. Near the hotel guests will find the city’s main train station. 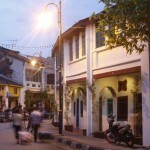 The neighbourhood is known for its many historical monuments that guests will be able to visit, and there are several bars, restaurants and shops a short walk away. 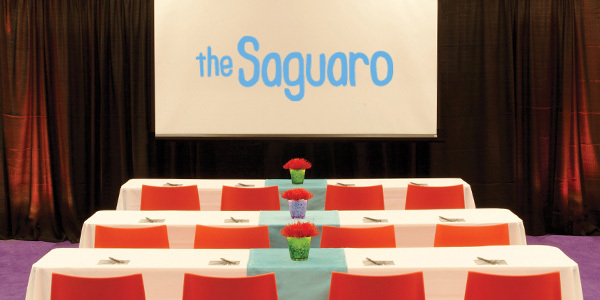 The Saguaro Hotel is located in Palm Springs, California, in the United States. 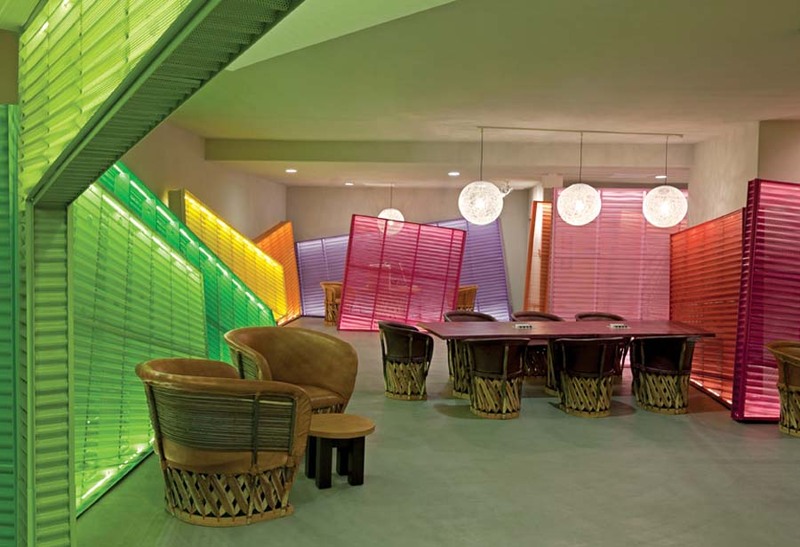 The hotel is formed by coloured cubes which have views towards the desert and the mountains. The hotel has 249 double rooms. 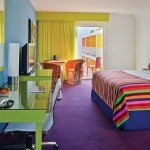 Each room has a double bed, a private bathroom and a large window with a colourful window frame. 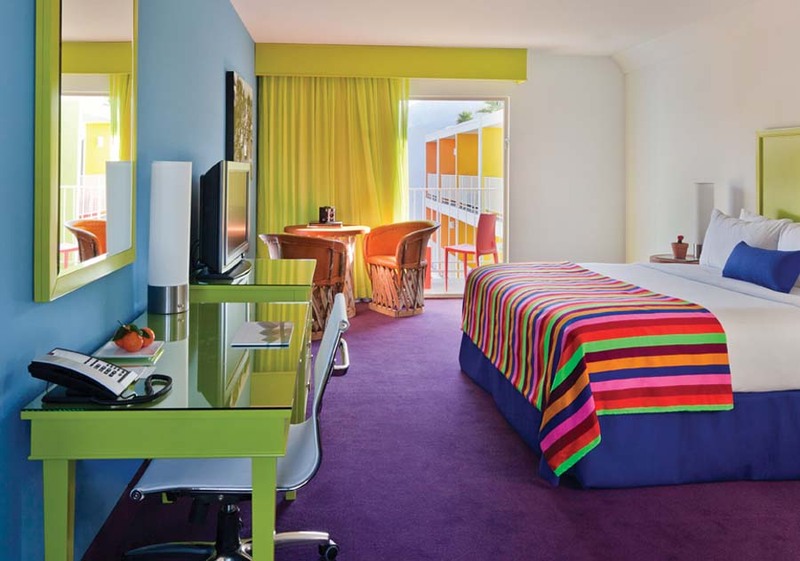 The rooms are decorated in bright colours, and the hotel’s façade is made of colourful cubes. 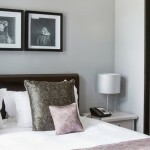 Each room has iPod docks, a selection of DVDs and a flat screen television set. 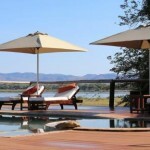 There are rooms with views towards the city, the gardens and pool and towards the mountains. 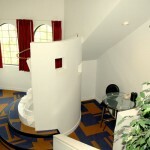 Most rooms have their own balcony and their are rooms with a private patio. 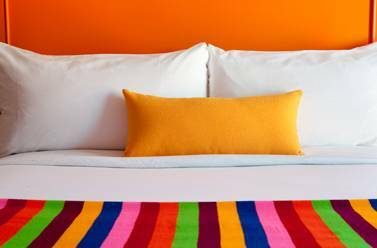 There are three types of standard rooms, where some rooms have two queensize beds and other rooms have a kingsize bed, and each room has a similar size with views that vary from room to room. 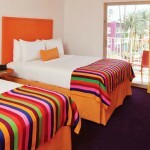 The City View rooms have views towards Palm Springs and cost around 128€ per night. 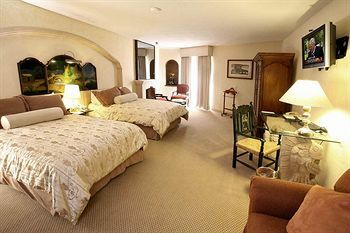 The Mountain View rooms are rooms with balconies where guests can enjoy views towards the San Jacinto mountains, and these cost 136€ per night. 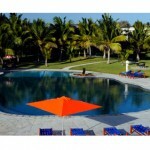 The Pool View rooms have balconies facing the hotel gardens and swimming pool, and the price is around 143€ per night. The Pool View Cabana rooms are located on the hotel’s ground floor. 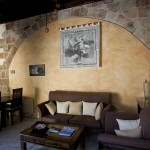 These rooms have their own patio and direct access to the swimming pool, and the price is around 160€ per night. 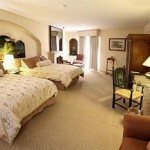 The Pool View Suites have a large bedroom and a living room. 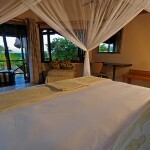 These suites have a balcony with views towards the garden and the mountains, and the price is 184€ per night. 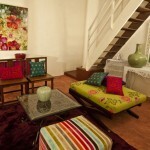 Each room has a desk and chair and a lounge area decorated with Mexican style furniture. The bathrooms have local bath products. 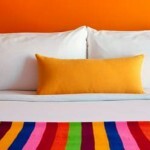 Guests will be able to choose the colour of the room where they want to stay. 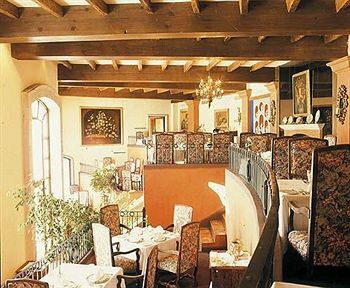 The El Jefe Restaurant is the hotel’s main restaurant. 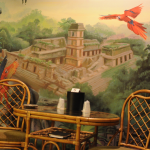 Guests will be able to enjoy traditional Mexican food. There is a lounge bar with a large selection of tequilas. 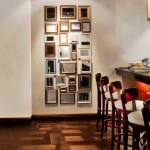 Tinto is the hotel’s bar where guests can relax and enjoy a glass of wine. 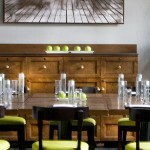 The bar has a small restaurant area which served typical food from the North of Spain and the South of France. Pets are allowed at the hotel. 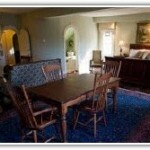 There is Internet access in the rooms. 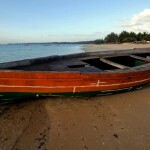 The hotel offers transport service to and from the airport at an extra cost. 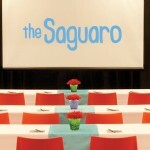 The Saguaro Spa is located in the hotel. The spa offers massages and facial treatments with oils made from organic ingredients. There is a gym and guests will be able to practice yoga. The hotel has a large garden with a swimming pool and two jacuzzis. 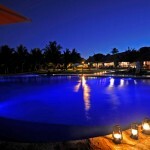 Next to the swimming pool is the hotel’s bar and a barbecue area. There are several halls where guests can celebrate events. Cocktails and conferences can be organized in the hotel gardens, next to the swimming pool and in the dining hall. 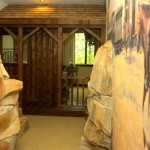 The Foyer is located near the reception area can accommodate up to 100 guests and is decorated with desert art. 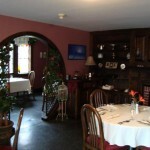 The Ballroom Kitchen is a large space where guests can enjoy wine tasting and cooking lessons. The Brittlebush and California Poppy conference halls are meeting rooms for up to 20 guests. The Sago Palm Ballroom hall is decorated in a retro style and events of up to 300 people can be organized there. The Agave Ballroom has floor to ceiling windows and enough space for 285 guests. 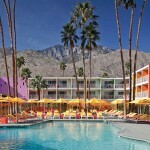 The hotel is located in the desert, in Coachella Valley in California. 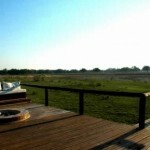 Near the hotel there are several natural parks and spas. 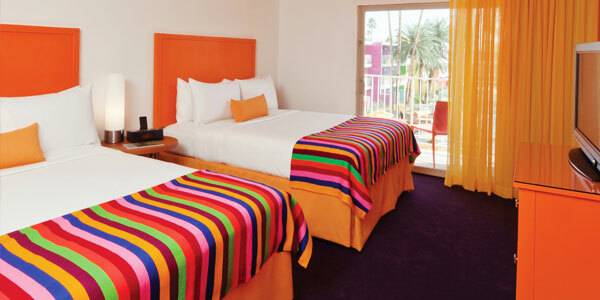 A short distance away from the hotel guests will find the Palm Springs Museum of Art. Coachella Festival is celebrates in this region. There are several hiking trails from Palm Springs across the San Jacinto Mountains, known for their views. 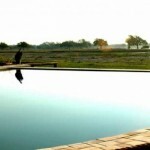 The region has around 125 golf courses, spas and swimming pools. 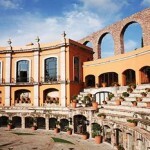 The Quinta Real Zacatecas Hotel is located in Zacatecas, in Mexico. The hotel used to be a bullfighting ring which now has several suites. The hotel has 49 suites. 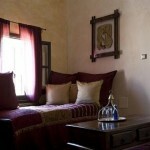 Each suites has a double bed, a bathroom and views towards the hotel’s patio, which is the bullfighting ring. The hotel’s halls follow the bullfighting ring’s structure. 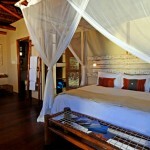 The suites are decorated in a colonial style, with large wardrobes, ancient furniture and art pieces. 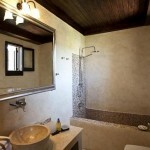 The bathrooms are large and there are bathrobes for guests. 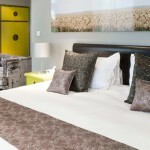 Each room has air conditioning, a desk and chair, a safe, a pillow menu and a plasma television set. 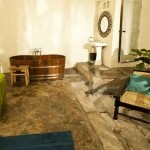 The 36 Master Suites are decorated in a traditional Mexican style. There is a bathroom and a shower each bathroom, and some suites have their own terrace. 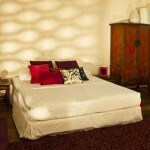 Price is from 98€ per night. 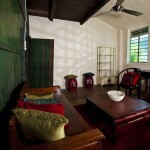 There are ten Grand Class Suites, colonial suites with a large lounge. Some suites have an extra sofa. The bathrooms have a separate jacuzzi and shower. These suites have views towards the hotel’s patio. 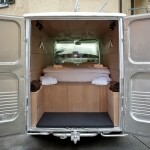 Price is around 144€ per night. 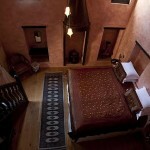 The Presidential Suite is a large duplex suite. The terrace has views towards the bullfighting arena. The master bedroom, dining hall, living room with a television set and a bathroom with shower are located on the ground floor. Two Master Suites are located on the upper floor, and each master suite has two double beds and a bathroom with a bathtub and a shower. There is a bar and a restaurant at the hotel where guests will be able to enjoy traditional regional dishes cooked using local ingredients. 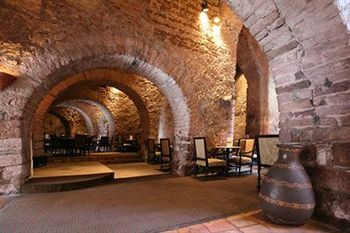 The hotel’s restaurant is located on the ancient bullfighting arena, and the stone structure is decorated in a a colonial style with colourful flowers. 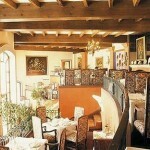 La Plaza restaurant is located on the arena and has three floors. The dining halls have views towards the arena, a nearby aqueduct and the Fatima Cathedral. Guests will be able to enjoy breakfast, lunch and dinner in the dining halls, which have high ceilings, a chandeliers and several pieces of art. Spicy regional dishes are served during the meals. Bar Botarel is located in the bull pen, where the bulls were kept before entering the arena. Concerts are organized at the bar, where guests can enjoy the wine menu. There are several halls where events can be organized. Guests will be able to organize private conferences and larger events in the hotel bar, in its restaurants and in the event halls. 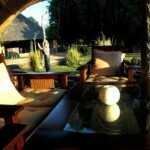 The hotel can organize tours around the region. There is a small exchange booth near the lobby. Inside the hotel there is a tobacco shop and a shop that sells silver, one of the region’s main products. 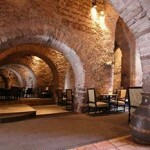 The hotel is located in the colonial San Pedro Bullfighting Ring. 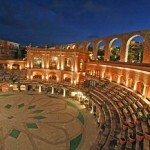 The arena was recently renovated, conserving the bullfighting’s ring main structure. 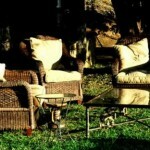 Guests can enjoy a glass of wine, a custom in many Quinta Real hotels. 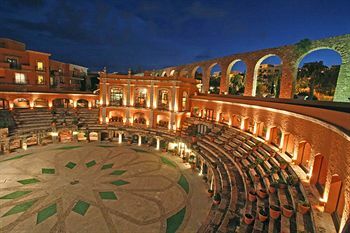 The main arena is now a large patio with colonial architecture and a fountain. 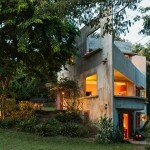 Guests will be able to discover the city’s colonial past. 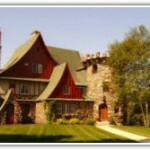 The Mine of Eden is one of the city’s most visited attractions, and guests can explore the tunnels of the mine. There is a cable car between the ancient mine and the Cerro de la Bufa, a place known for its views towards the city. The city was built in red stone and most buildings have iron balconies. Guesst will be able to visit the city’s cathedral, which is located on the Plaza de Armas main square. A short distance from the hotel there are several museums, the Museum of Abstract Art, the Pedro Coronel Museum and the Rafael Coronel Museum. The main market is the Mercado Gonzalez Ortega, where guests will be able to buy local products ranging from leather and silver to local wine.